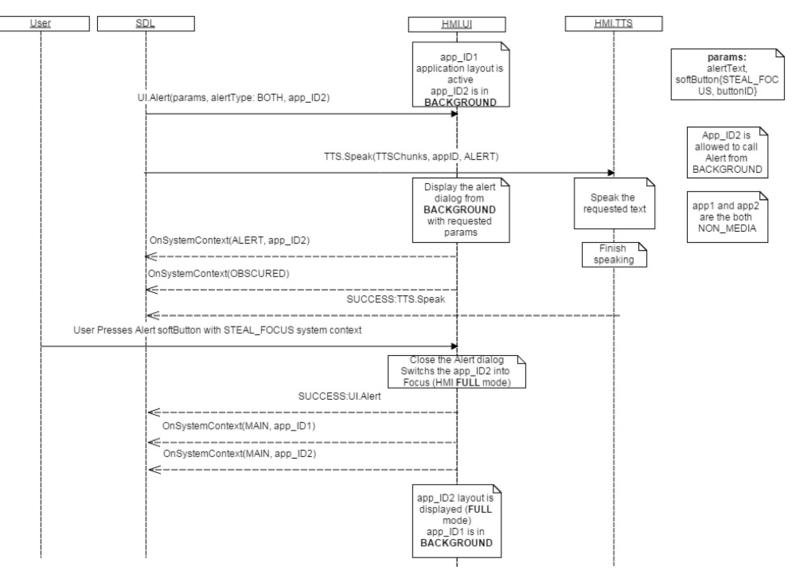 SDL sends the UI.Alert RPC when some information needs to be displayed to the user on a display. 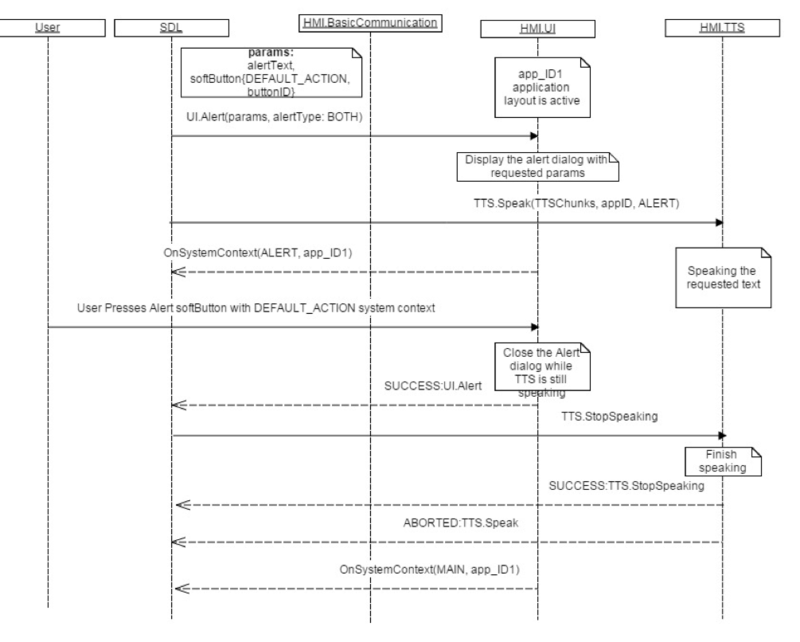 The Alert has a softButtons array of buttons which the user can use to take action on the alert. 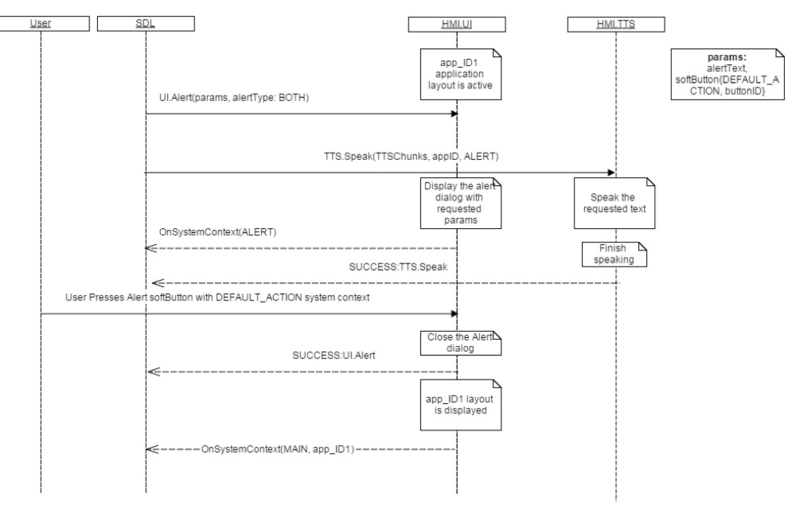 If the alert includes a soft button of type STEAL_FOCUS and the user presses the button, the HMI must bring the app associated with the Alert into full screen mode. 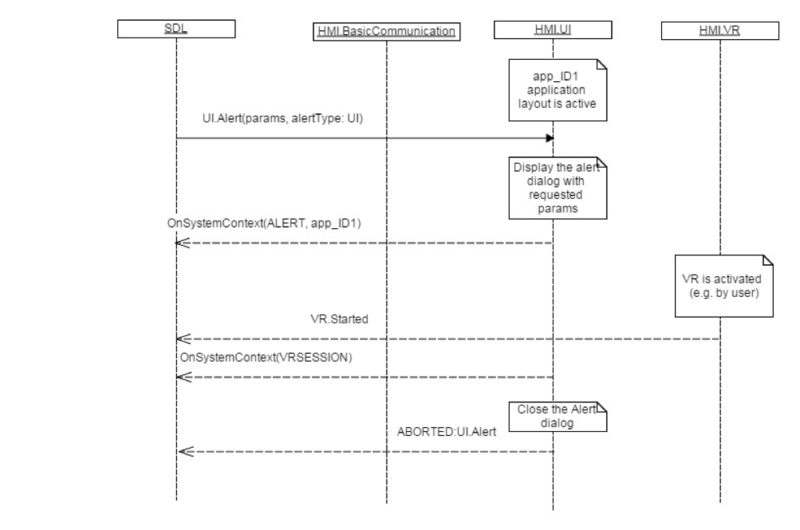 The HMI must send UI.OnSystemContext with type ALERT for the application which is in FULL mode. 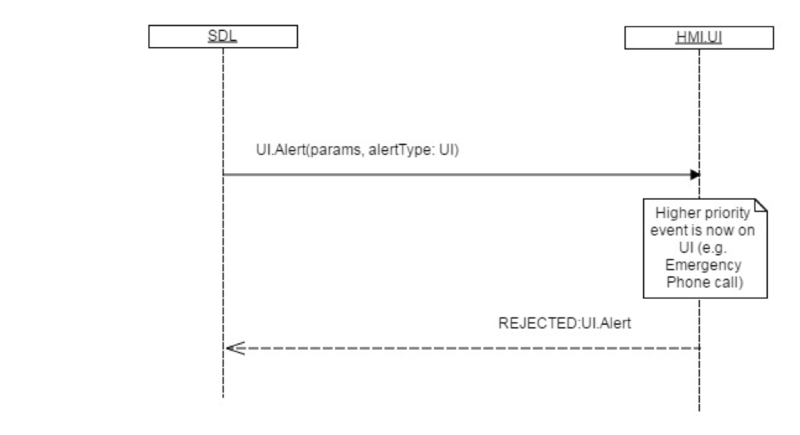 Respond to the Alert earlier than SDL's default timeout of 10 seconds - applicable only to alerts without softButtons. "fieldText" : "Hard weather conditions"